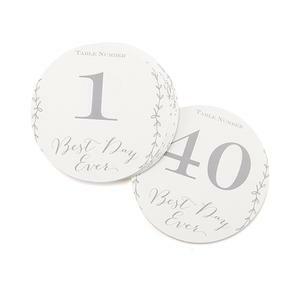 34433 - White, one-sided, paper table number cards with "Best Day Ever", vine, and number design in grey. 5½" diameter. Set includes numbers 1-40.